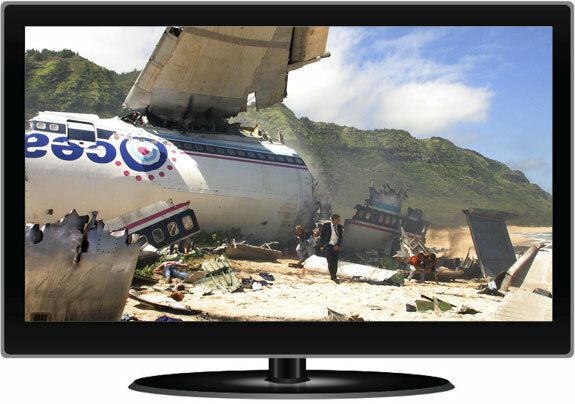 As fans of the hit ABC television series LOST watch the riveting drama about a group of airplane crash survivors on a mysterious island, they often ponder questions of love, fate, survival and black smoke monsters. 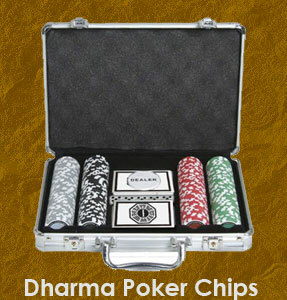 What exactly is the Dharma Project? and What do those numbers mean? are questions nearly all LOST fans have asked themselves. They inevitably also ask Where exactly are all these gorgeous tropical scenes filmed? 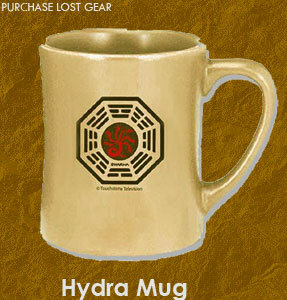 The vast majority of LOST was set in various locations around Hawaii. Even many of the locations that were supposedly not on the survivor’s island were shot in the Aloha State. The Sydney airport in LOST? That was actually the Hawaii Convention Center in Honolulu. On the show: “The beach” where (most of) the main characters from Oceanic flight 815 crash landed. The majority of LOST episodes, especially in the first three seasons, include at least one look at Mokule’ia Beach. The island scenes in the very first episodes were almost exclusively shot here. 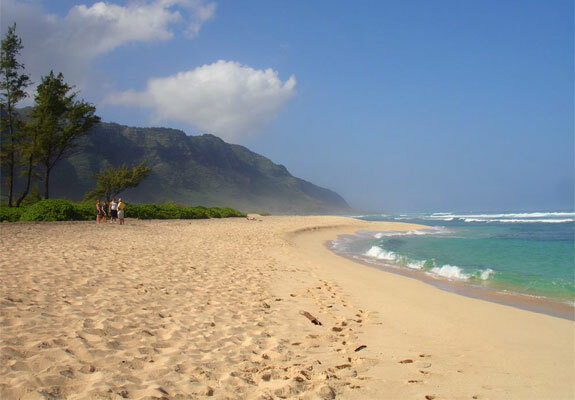 In real life: Mokule’ia is a gorgeous beach, surprisingly unvisited considering its LOST fame. Plus, (as of May 2010) the section of the Oceanic airplane that was used as a prop in the first few episodes of the first season was still there! (To see it keep driving on the road for a few minutes past He’eia Pier). To get to the beach from central Oahu—Wahiawa or Pearl City, for example—head north on route 99 (the Kamehameha Highway). Just before Hale’iwa there will be a sign for route 930 (the Farrington Highway). Head west. About one minute after you pass Dillingham Airfield on your left, you’ll see Mokule’ia Beach Park on your right. Scenes from LOST were shot all along this stretch of shore, from the beach area across from Dillingham to the Kaena Point State Natural Area Reserve at the tip of Oahu. In the show: Pay close attention to the foliage that forms the backdrop of several LOST island scenes and you’ll notice a reoccurring set of distinctive Banyan trees. We first see them in season one when poor Charlie is hung up by “The Others” (pic below). Survivors often walk past these trees on their way to some adventure and several characters have taken refuge within the arboreal ring the trees form (including Walt when he hid from the polar bear). 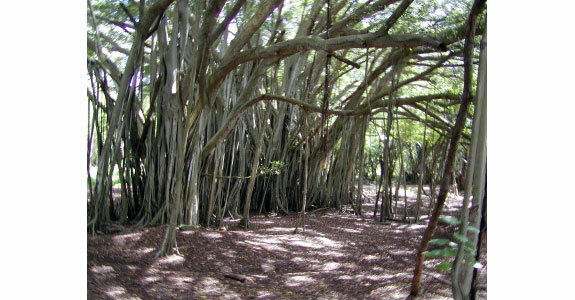 In real life: The Banyan trees are on the grounds of the Turtle Bay Resort. Portions of the lush resort serve as the backdrop for many other LOST snippets. Pretty much any scene in which the characters are walking through thick jungle were filmed here. The Turtle Bay is close to other LOST locations (including Waimea Falls and Waialee Beach, reviewed below). No wonder then that members of the LOST cast and crew stayed here during filming. You can too. And you should. 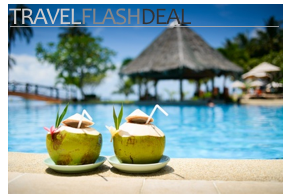 The resort is stunningly set on a peaceful and picturesque parcel of Oahu coastline. Tennis (there are 10 courts), surfing (with optional lessons through the renown Hans Hederman School) and horseback riding (on secluded beaches) are among the activities on offer. The standard rooms at the resort are a bit small and uninspiring—it is worth the money to upgrade to an ocean view room, if not a suite. Note that non guests will have to pay a fee to enter the grounds. Guests at the resort can, of course, explore as they wish. On the show: Waimea made its first appearance on LOST in the episode where Kate and Sawyer had their first flirtatious swim—and found two dead bodies. In a later episode Paulo came across these falls and found within its waters Nikki’s bag with the diamonds and the Nicotine gum that ultimately lead to his demise. 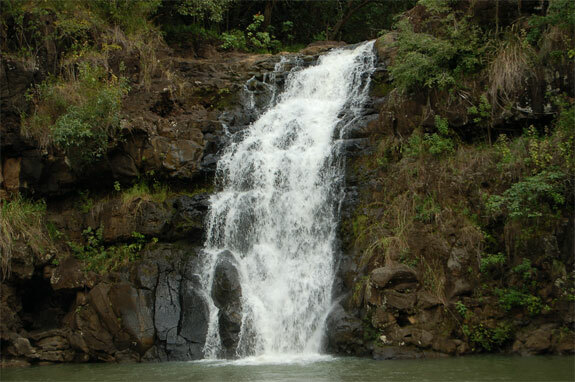 In real life: The Waimea Falls are inside the Waimea Valley Audubon Center (formerly known as Waimea Falls Park) located on Oahu’s north shore. Bring your bathing suite—visitors can go for a dip in the same swimming hole that Kate and Sawyer did. (Although, perhaps happily for visitors, the underwater dead body scenes were filmed in California). The 1,800 acre Audubon Center also features beautiful walking trails through lush foliage and wild peacocks roaming the grounds. The park is well worth a visit even apart from its link to LOST. The entrance fee is $10 but the parking, thankfully, is free. On the show: Most LOST scenes that took place on a narrow rocky beach were filmed here. This is the beach where those in the tail section of flight 815 landed. It is also where Jin liked to go fishing, where Kate took her revealing bath in the pilot episode (pic below) and where Jack got stitched up from his wounds. In real life: Waialee Beach is the one attraction in this review that we might not suggest to non-LOST fans. It is a nice beach, but there are better ones nearby (around Kawela Bay, for example). 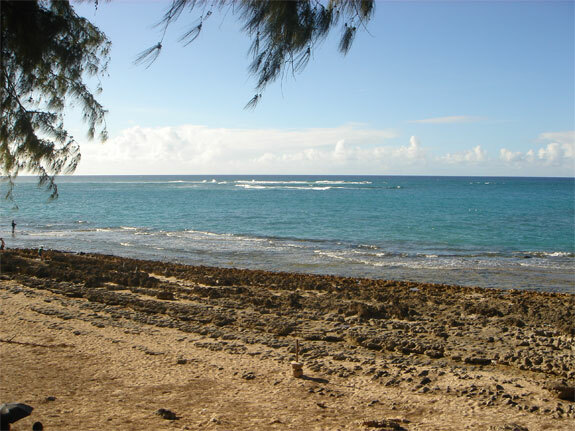 This beach lies to the west of Kawela Bay before Hale’iwa on the north side of route 83. In the show: This is Sun’s father’s extravagant mansion in Korea. We got our first look at the mansion and its meticulously kept grounds in season one when Jin proposed to Sun on a bridge here. In real life: LOST‘s supposed Korean mansion is neither a mansion nor Korean. 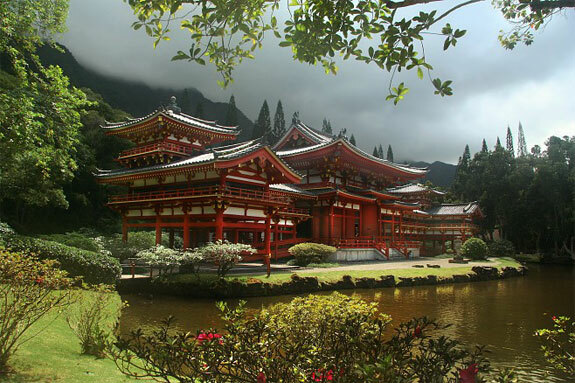 Instead, this elegant building is the Byodo-In, a fully functioning Buddhist temple that is a 30-minute drive north of Honolulu. The temple was built in the 1960s and is a near-exact replica of a temple of the same name in Uji, Japan (near Kyoto). Visitors (and their $2 admission fee) are welcome provided they are quiet during their stay and remove their shoes outside the temple. Open daily from 8:30am to 4:30pm. On the show: The island scenes that take place in an open, grassy field were shot here. Ka’a’awa is where Hurley built his golf course and went on the joy ride in the van. When characters hiked to and from adventures on the “other side of the island” their trek often included a shot of them traipsing through this valley. In the second episode Sayid, Kate, Charlie, Shannon, Boone, and Sawyer camp here and nearly come to fisticuffs arguing over the then-mysterious French woman’s radio transmission. 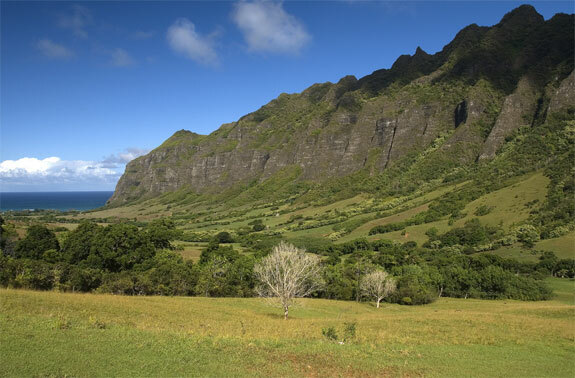 In real life: The Ka’a’awa Valley is private property, part of the Kualoa Ranch. (In fact, Ka’a’awa is often referred to as the Kualoa Valley). Fortunately, the ranch offers tour of their property by ATV, bus or horseback. In addition to showing you the LOST filming locations you’ll also see where scenes of several movies were shot, including 50 First Dates, Godzilla, Pearl Harbor, Jurassic Park and Windtalkers. Kos Tours will take you by Hummer to all of the LOST locations we mention in this review. Hawaii Activities has a four-hour tour that doesn’t involve riding in huge gas guzzling vehicles. The company also runs private, customized LOST tours. Big Kahuna Hawaii has full-day tours for the serious LOST fans who aren’t content with the half-day offerings from Kos and Hawaii Activities. If you haven’t yet watched LOST, you absolutely must start from the very first show and work your way forwards from there. Amazon has the best prices on Bluray and DVD discs of past seasons. As the last season approaches, will destiny or science provide answers for the survivors? This show-inspired Lost keychain by Olga Ganoudis features two strands of knotted brown leather wrapped around metal ring with a bronze pendant representing one of the discovered Dharma Initiative stations. Choose between Security, Orchid, Looking Glass, or Swan Station insignias. This official Lost Looking Glass tee features the Looking Glass logo first revealed on Lost during the episode ”Greatest Hits.” The Looking Glass logo is an allusion to the Lewis Carroll novel, ”Through the Looking-Glass” and marks the end of season three of Lost with new insights into the futures of Jack and Kate.This exclusive tee features the Looking Glass logo on the front in a unique rubberized yellow print with the Lost logo at the back neck and is made of 100% cotton. Juliet is a mechanic in the motor pool. She made an agreement with Sawyer to no longer be a doctor after experiencing the many deaths of pregnant women on the island, who she could not save.Be a Dharma member with the official Lost Dharma Motor Pool jumpsuit.Fabric: 8.5 oz. TwillBlend: 100% CottonFinish: Pre-shrunkClosure: Zipper front closurePockets: Two sewn-in front pocket, two back hip pockets with left pocket zipper, two zippered breast pockets, rule pocketCollar: One-piece top stitchedCare: Industrial WashOther: Side vent opening and sized to be worn over clothesColor: NavyProduced to order. Please allow approximately 5 business days to ship. In ref on Waialee beach. The photo is not of Waialee Beach but to the north of it. Waialee ends at the island to the North and South to the bridge/ stream is at the farm. Our house was the last toward the island. 1939-1946.